Mix all ingredients. Spread on your favorite crusty bread. I used a french baguette from Sparrow Bakery. 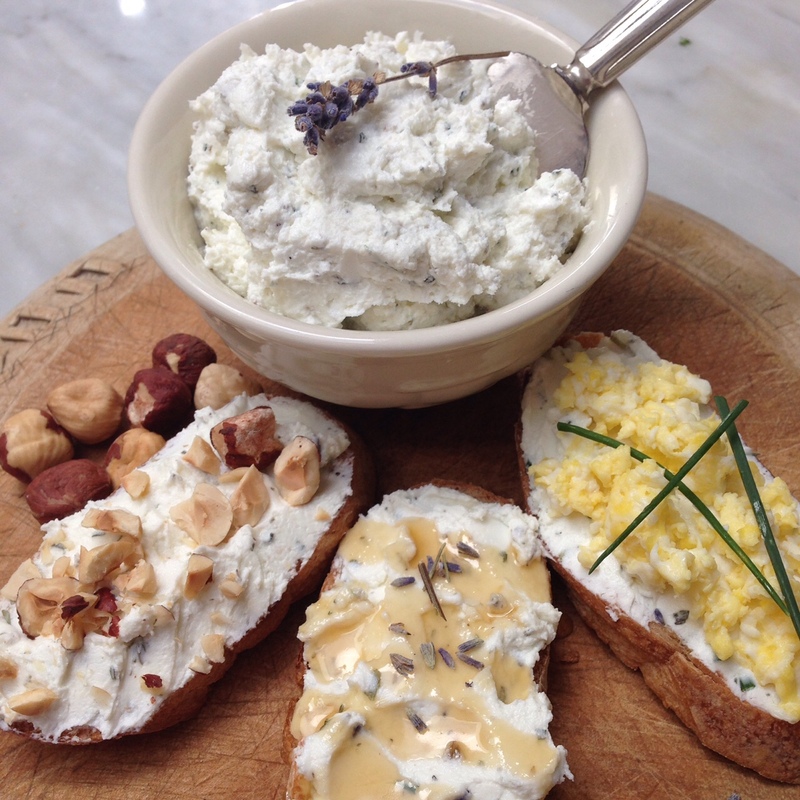 My favorite toppings: chopped hazelnuts, raw honey with dried lavender, scrambled eggs (left to right).